Irish-owned online travel agent Click&Go is investing €2m in the opening of an office in Warsaw, Poland; its first office outside of Ireland. The new base is expected to employ 10 full-time staff by the end of the year and the website for Click&Go's Polish operation has just gone live. Co-founder and CEO of Click&Go Paul Hackett said Poland "works for us both in terms of the travel part of the business and the technology side of the business. "It gives us a target audience of ten times the Irish population." Mr Hackett said the company did extensive research across European countries before choosing Poland. Based on areas like consumer propensity to buy online, availability of low-cost air flights, and the level of competition, he said "Poland came out on top". On staff recruitment for the Polish base, the Mr Hackett said originally the Polish office was to be the call centre for the Polish market but "what it's now turning into is that me may start looking to hire some IT developers locally for Poland - given the fact that we're coming under pressure in the Irish market to hire some skilled staff for our office in Dublin". Click&Go has a team of 60 people in Dublin at present but Mr Hackett said it is "really struggling to compete with some of the major multinationals around IT development staff and around some digital marketing staff. "If we can more easily recruit those in Poland to work on the company as a whole, we will do so." On recent industrial action at Ryanair, Click&Go says the impact on the sector has been mixed. "Ryanair has minimised disruption ... and none of our consumers have been impacted. They have been very clever at limiting the disruption to the Ireland and UK flights only so the family and sun holiday market has not been impacted," he said. He added Ryanair has lowered its prices to combat uncertainty over bookings due to the strike action. However, Mr Hackett said the recent heatwave at home "to some extent is killing the 'lates' market in Ireland, which is the consumers who book and travel within a month of deciding to go on holidays." The company is focusing on its USA and cruise business to offset the effect of this loss. 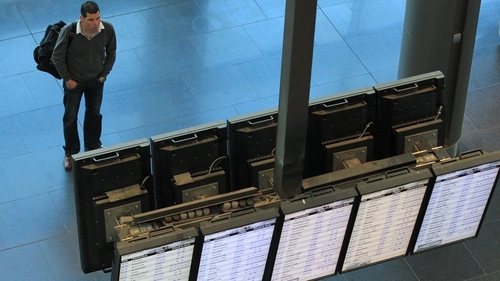 More jobs for Dublin are a positive but where will the employees live?